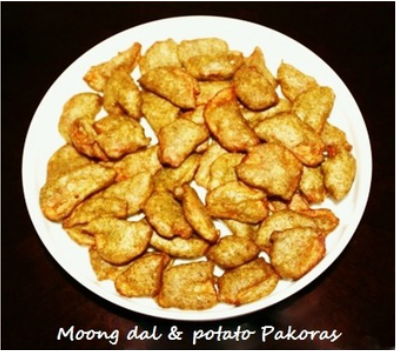 Moong dal pakoras are very popular delicious, healthy tea time snack even though they are deep fried. 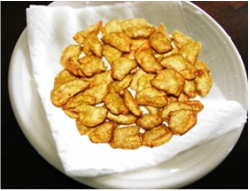 In rainy season when you crave something along with hot cup of tea, these Moong pakoras serve as a satisfying snack. 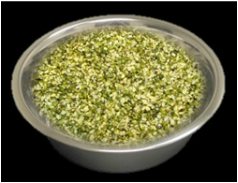 ​To prepare these pakoras first Moong dal with green skin is soaked in the water. 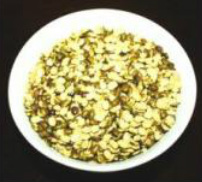 The skin of Moong dal will give a good texture and taste to the pakoras. 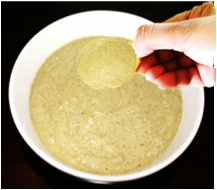 Once dal is soaked it is grinded with ginger and green chilies then spices are added to it give flavor, then thin sliced potatoes are dipped in the batter and deep fried. These pakoras are crispy from outside and soft from inside. 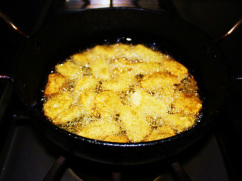 Moong dal pakora is usually served with tamarind chutney or green chutney. 1. 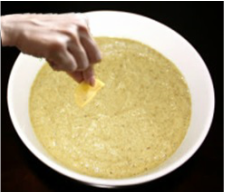 In a bowl add dal and wash, changing water several times until the water appears clear, and then soak it in 8 cups of water for 2 to 3 hours or until fully soaked. 2. 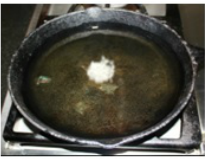 Once dal is soaked drain all the water out and wash. After washing drain all the excess water out. 3. 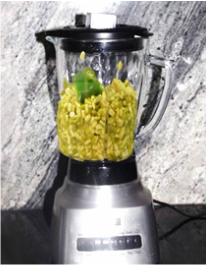 In the blender add washed dal, chopped green chilies, chopped ginger and asafetida and grind them add 1 to 2 tablespoons of water only if required for grinding. 5. 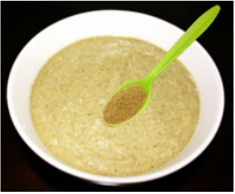 Mix Cumin powder and salt, in the batter, if the moong dal batter looks too thick then add little water, the batter should not be too thick or to lose it should be thick enough to coat the potato slices. 7. 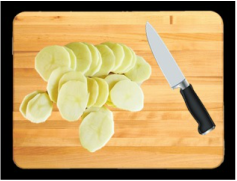 Keep the sliced potatoes in the water so that they do not change their color. 8. 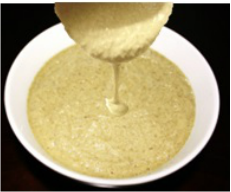 Heat 2 to 3 cups of oil in frying pan or a kadhi, for 5 to 6 minutes keep the heat to high then turn it to medium high, so that oil heats up quickly, in 7 to 8 minutes oil will heat up then turn the heat down to medium. The correct temperature is important. 9. 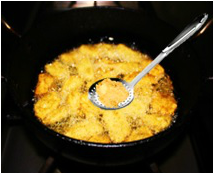 To test the oil to see if it is ready, drop a little batter if it rises immediately to the surface and sizzles, the temperature is correct, if it get brown quickly it means it is too hot then turn the heat down, if it is sink to bottom and do not simmer it means it is not hot enough, and the pakoras will absorb too much oil and remain greasy, adjust the heat accordingly. 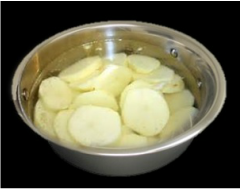 medium.If the oil is too hot then the potatoes will remain raw from inside. 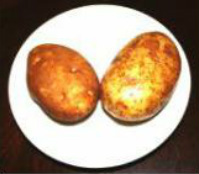 until the pakors become golden brown. 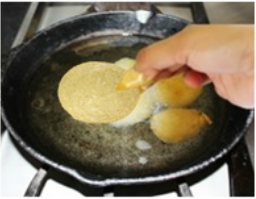 oil and place them on the plate over paper towel so that excess oil is absorbed. 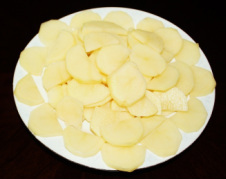 will fried quickly from outside and inside the potatoes will stay raw. 15. 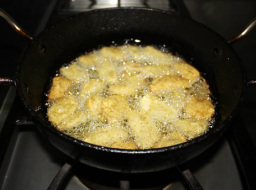 Drop another batch of pakora in the oil, and then raise the heat up to medium. 16. 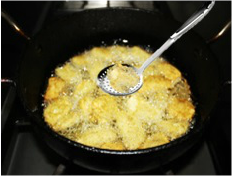 Serve pakoras hot with coriander chutney or tomato ketchup.